Prosecco is officially Italy’s favourite sparkling wine. Grown among the spettacolo ‘pre-Alpi’ (Alpine foothills) that dominate the Venetian skyline from Treviso to the Austrian border and on the flats as far as Venezia, it’s a light frothy spumante that Italians drink anytime, anywhere. And since being awarded the DOCGarantita status last year (the highest political wine award in the land!) it’s become fashionable too; the new Pinot Grigio if you like! Significantly they’ve started differentiating between the different grapes that go into the wine. Prosecco is a wine style, at whose heart should be the Glera grape, along with healthy doses of Chardonnay, probably Trebbiano and who knows what else from down south… It’s made in the spumante industry’s equivalent of the ‘continuous still’ process whereby still wine has sugar added to it so triggering the second, bubbly ferment in tank; the Charmat method using zeppelin-shaped (and sized) stainless steel tanks and bottled to order. This facile style of spumante was born with the advent of the autoclave tank, coming during the 1970s as the industry sought a cheap source of endless fizz. Importantly it all but rendered extinct the traditional ‘colfondo’ style frizzante (less gas, more flavour) that came from the wine’s second ferment taking place in bottle, having had grape must (not sugar) added. 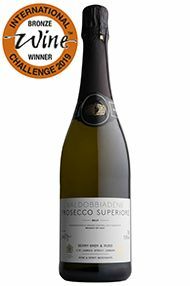 This latter more ‘serious’ style of Prosecco is now gently fizzing again among small artisan producers keen to reveal the true face of their fine terroir; not dissimilar to what’s happened in Champagne in fact, with the emergence of ‘growers Champagnes’. 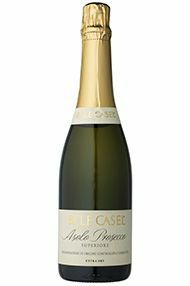 One such Prosecco producer is Belecasel. Based at Caerano san Marco, near Treviso, the small 10 hectare (120,000 bottles/year) family estate lies in a fiercely protected subzone of calcareous clay hills called Asolo. 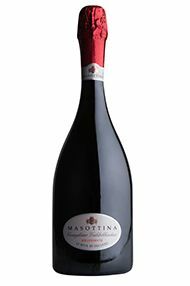 A blend of Pinot Noir, Chardonnay and Glera, this fizz has an attractive red-fruit perfume of strawberries and redcurrants. 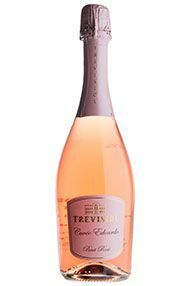 While not technically a Prosecco, due to the use of Pinot Noir and Chardonay, this is a fresh and clean rosé which would make the perfect sparkling apéritif for a summer’s day. 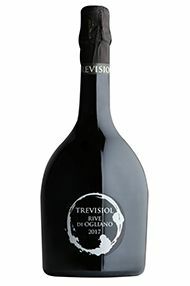 This wine is made for us by Paolo Trevisiol and his two sons in the heart of the Valdobbiadene cru. Paolo uses only his 40-year-old vines for our wine; grown at altitudes of up to 400 metres, they yield arguably the most flavoursome Prosecco in the region. Inviting and fresh on the nose, it is brimming with yellow plums, orange blossom and green apples. The palate is foaming, full and fruity, with a fresh alpine acidity typical of the best examples of Prosecco. Enjoy well-chilled. Located in Prosecco’s Conegliano region of the Veneto lie the 60 hectares of Masottina’s vineyards. Owned by the Dal Bianco family since 1946, they switched from being a négociant to vineyard owner in the 1960s. They produce a classic expression of Conegliano Valdobbiadene Prosecco. With fine, persistent bubbles, this is pale straw yellow with greenish highlights. The nose is intense, fruity with the rich scent of apple, lemon and grapefruit. It has a pronounced aroma of wisteria in bloom and acacia flowers. The palate has a pleasant acidity and fresh flavour. Full-bodied, and lingering, a soft finish rounds off this crowd-pleasing Prosecco. 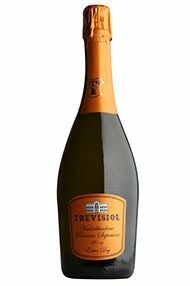 Based in the heart of the historic Prosecco region of Valdobbiadene, the Trevisiol family has been producing sparkling wines from the native Glera grape since 1898. This is a classic, Extra Dry style using fruit from 50-year-old vines grown on steep slopes in Valdobbiadene. A short fermentation time and minimal aging allow the fruit quality to shine through, delivering a wonderfully lively and vibrant wine full of fresh pear and blossoms. It’s a brilliantly moreish apéritif for any occasion. This finely crafted wine comes from Paolo’s vineyards in the iconic hamlet of Ogliano in Conegliano. 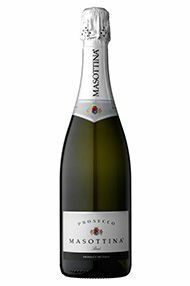 Like the classic Valdobbiadene style, it is Extra Dry in style (between 12 and 17 g/l residual sugar), but the fermentation for this cuvée is longer, followed by three months’ aging developing more complex flavours. The nose is finely tuned with notes of green apple, flowers and perfume. The palate is robust and complex with peach, nectarine and a hint of fresh hazelnuts. Always a beautiful apéritif, it is also a fantastic partner for sushi and sashimi.